And it all began! Over the months my ideas were brewing and of course there is so much more than losing weight. Weight has been an issue for me for most of my life and now I realize age is compounding the issue. I invite you to join me in this process of losing weight, getting healthy, loving the body you have, being a temple, and all that jazz. I will share my thoughts, struggles, successes and a lot of humor along the way. 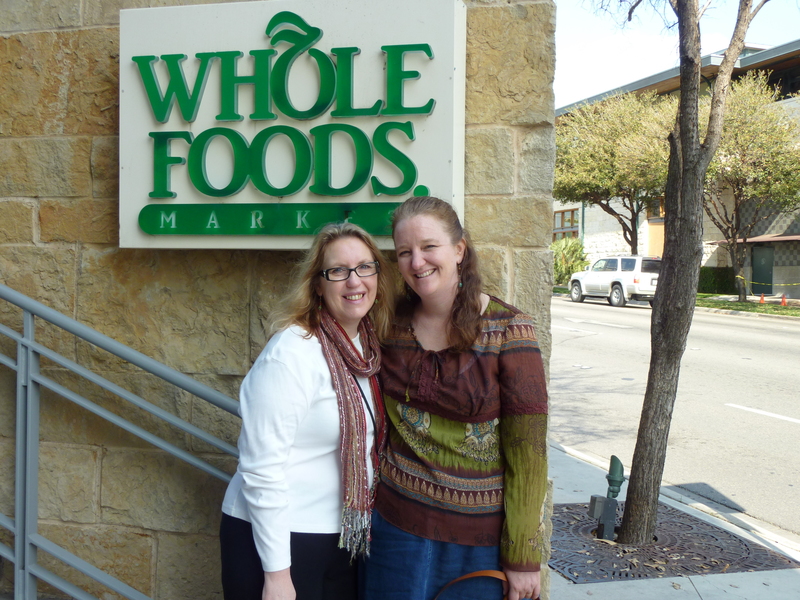 With my BFF at Whole Foods in Austin. She has always been my mentor! Take this journey with me and share your own struggles and successes. I will be adding tools, ideas, valuable gifts and much more. Next I’ll share how I was motivated to get an athletic trainer. I have 10 days of blogs to post here, so be sure to sign up to receive an email whenever I post. Let’s do this together! This is the 6-Muscle Testing with Tomatoes. This video is a great follow-up to the fifth video, Muscle Testing. In this video you can use your new tool of Muscle Testing to test the life force of the food you eat. Dr. Candess demonstrates with a tomato!